NASA Announces Permanent Homes For Shuttles The lucky museums are New York's Intrepid Sea, Air and Space Museum; the California Science Center; the Smithsonian National Air and Space Museum; and the Kennedy Space Center. Some family members of astronauts who died in shuttle tragedies said they were heartbroken by the fact that Space Center Houston was left out. 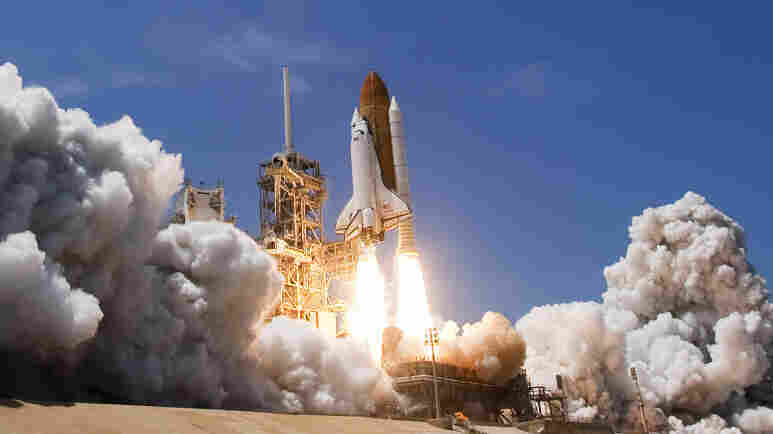 NASA's space shuttle program spanned 30 years of launches and more than 100 missions. Four lucky museums are celebrating Tuesday's announcement that they will receive a space shuttle after NASA ends its 30-year-old shuttle program. Nearly two dozen museums had hoped to get one of the famous spaceships. NASA chief Charles Bolden, a former space shuttle commander himself, made the announcement at Kennedy Space Center in Florida, whose visitor center will be home to space shuttle Atlantis. 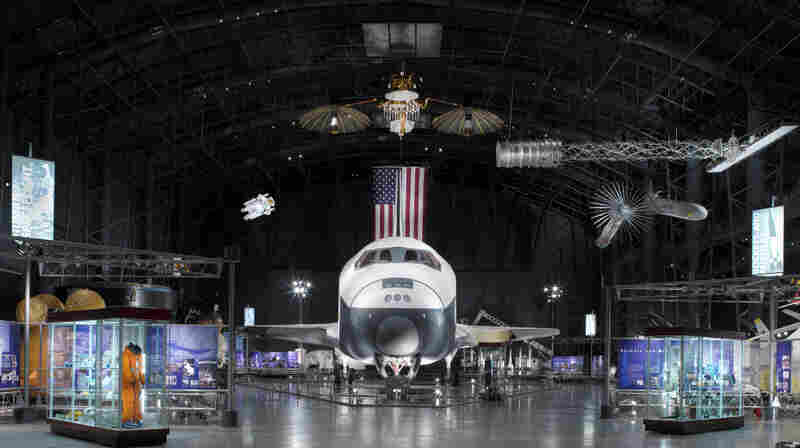 Discovery — Smithsonian National Air and Space Museum, near Washington, D.C.
"I'm proud to announce where these national treasures will be displayed and enjoyed by millions of Americans once the shuttle program concludes," he said. As he started to say that Atlantis would make its final home right there at Kennedy's visitor center, the crowd went wild, and Bolden himself was clearly moved. "You have no idea what that applause did for me," he said. "It's been a rough day." He then announced that space shuttle Discovery will go to the Smithsonian's National Air and Space Museum, Endeavour will go to the California Science Center in Los Angeles, and a prototype shuttle that never flew in space, called Enterprise, will be going to the Intrepid Sea, Air and Space Museum in New York City. These museums are celebrating, but Bolden knew he was disappointing 17 other contenders. "There were many, many worthy institutions that requested an orbiter, and only four to go around," he said. 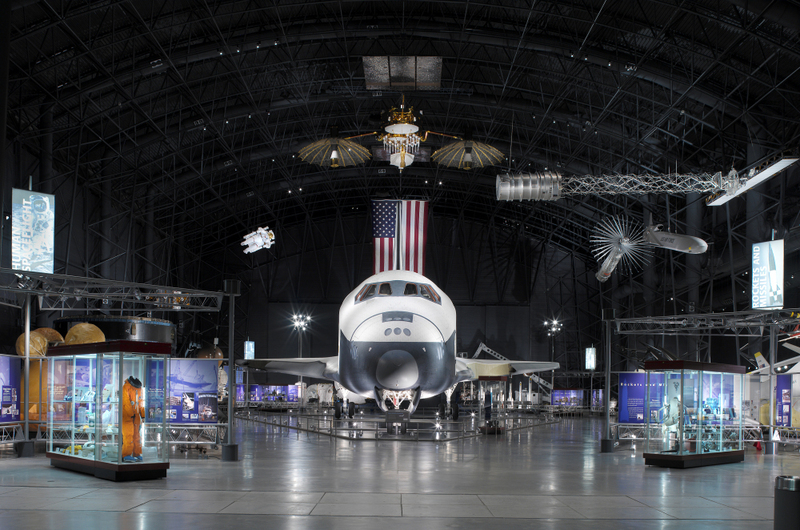 The Smithsonian Institution's National Air and Space Museum will receive space shuttle Discovery, replacing Enterprise, which is currently on display at the museum. Enterprise, which never flew in space, will be moved to New York City's Intrepid Sea, Air and Space Museum. Tuesday's announcement ends a suspenseful, high-stakes competition. NASA requested that museums make their pitches back in 2008; the hopefuls went all out to try to impress the agency. They've stressed their numbers of visitors, their historical ties to the space program, their grand plans to display the shuttle — while NASA remained mostly silent. Valerie Neal, a space historian at the Smithsonian, says she thought her famous museum would get one but wasn't sure. "This has been such a long, drawn-out process — I never felt we could take anything for granted. And I think all of us had doubts along the way because we just didn't know how the process would work," she said. Tuesday's announcement left her relieved and thrilled. "My celebration of choice is always a glass of champagne," Neal said, "so when I go home I may do that." Houston, home of Mission Control and the astronaut corps, could only watch with sadness and disbelief as shuttles went to Los Angeles and New York. Several family members of astronauts who died in space shuttle tragedies put out a statement saying the decision left them heartbroken. At Space Center Houston, a crowd gathered to watch the announcement on TV. Richard Allen, the center's president, said NASA headquarters called to inform him of the decision ahead of the official announcement, but he was asked not to share the news. "When you're sitting there watching the faces of the people that were here with anticipation of one possibly coming here, knowing that that wasn't going to happen, it's kind of bittersweet to watch that play out," Allen said. Emotions ran high all day. NASA administrator Bolden choked up as he told the chosen museums to take good care of these historic spaceships. "They've served the nation well, and we at NASA have a deep and abiding love affair with them that's hard to put into words," Bolden said. NASA expects to have the shuttles ready for their new homes six to nine months after their last flights. The final launch is scheduled for June.